Biddle & Smart fell into the category of medium-sized firms supplying production bodies for small and medium sized automobile manufacturers. Their competition included Hayes, Ames, Seaman and their Amesbury neighbor Walker. The Biddle & Smart Company of Amesbury was a successful carriage manufacturer that made the transition into automobile body production, as had many of its neighbors on "Carriage Hill Biddle & Smart's beginnings can be traced to 1855, when William Eugene Biddle, then age 10, moved with his parents to Amesbury. He worked after school in his father's bakery and also in the machine shop of the Salisbury Mills Company. When he reached manhood, Biddle went to Columbus, Ohio and entered the shoe trade. He returned later to Amesbury and bought out his father's business. In addition to operating the bakery, he built up a good trade in West India goods. In 1869 he formed a partnership with a local carriage maker named Charles H. Cadieu and together they purchased a wood planing mill on Water Street. Door and window frames were the first products. A year later he bought out his partner and embarked on enlarging the factory to supply local artisans and carriage makers with a variety of parts. The plant, known locally as the Biddle Mill, burned to the ground in January 1876. An even larger building was quickly built and within four years, annual receipts totaled $125,000, with over 5,000 sets of carriage parts completed. The payroll totaled 60 men, and in 1880, local carriage builder W.W. Smart, joined the firm which was renamed Biddle & Smart. With Smart in charge of carriage production the firm now advertised that "the company desired it known that they build all of their bodies, wheels and gears”. An 1883 article noted plans to build 3,000 carriages in 93 styles, from an open wagon at $90 to a $2,250 French brougham. In April 1890, Biddle & Smart shipped 721 carriages, an all-time monthly record for Amesbury which boasted numerous other carriage­ building enterprises. Biddle &, Smart registered the famous "Four Hundred" Buckboard trade name and W. E. Biddle was elected to the Executive Committee of the Carriage Builders Convention in Chicago. By 1891, 270 hands (people) were employed and the 4,000 carriages sold put sales near the $750,000 mark. They were considered one of the "big four" carriage builders in Amesbury. With the death of Smart in 1897, finished carriage manufacturing was discontinued, and the company went back to its former role of manufacturing parts for several of the many other companies in the area. Early one-off automobile body production commenced in 1902 and by late 1903 they had a contract to produce limousine bodies for Peerless. William E. Biddle Jr. assumed the company presidency in 1905 and his father passed away two years later. The younger Biddle soon discontinued most of their carriage parts business and embarked on a rapid expansion that included the estab­lishment of the Amesbury Brass & Foundry Com­pany, in order to produce the myriad of metal parts needed for auto body manufacture. The March 15, 1905 issue of The Horseless Age included an advertisement that showed a 1904 Peerless limousine and advised: "We are Builders of Automobile Bodies of any and every description, including Limousine, Lan­daulets, Trucks, Delivery Wagons, Touring Cars and Runabouts. And bodies can be completely finished and upholstered in our own plant." They also offered wooden spoked wheels. One later newspaper account noted that the senior Biddle had stayed in the car­riage line because he wasn't sure of the horse's demise, but one must realize that in those days total national auto production was probably less than what Amesbury itself could do in carriages. In any case, the company did well under William Junior's direction, even staying busy after the March 1907 stock market crash while some of his neighbors were idle. By 1907, proper metal sheeting over a hardwood frame was developed as the standard construction technique. The com­pany embarked on limited series production for a growing list of satisfied customers: tour­ing cars for Mercer and Alco, Abbott coupes, National roadsters, Packard and Winton sedans and assorted models for Lincoln, White, Chalmers, Marmon, Peerless, Haynes, Speedwell and Club. They became specialists in using aluminum, although steel-paneled bodies were also produced. The Club Car Company of 1910-1911 was based on the idea of having to join a club in order to buy one of its cars. The vehicles were built by Merchant & Evans of Philadelphia, with engines supplied by American & British Manufacturing of Bridgeport, Connecticut, and coachwork from Biddle & Smart of Amesbury, Massachusetts. Merchant & Evans sold off the cars remaining in stock as Devons when the foolhardy plan failed within the year. As early as July 1914, B & S produced a series of limousines and coupes for Hudson Motor Car Company which looked "very similar to the Simplex closed cars of last year." This proved to be a fruitful association and by 1923 B & S had become an exclusive supplier to Hudson, building five and seven-passenger sedan bodies and the occasional dual-cowl phaeton and speedster. During 1916 Biddle & Smart’s customers included Hudson and Mercer with a few custom-built Packards made for wealthy Bostonians. As their auto­mobile business grew, additional facilities were added by absorbing competitors or purchasing their buildings. In 1917 the largest factory in town, owned by S.R. Bailey & Co., was purchased, and a new office building was built nearby. By 1919, Biddle & Smart had become Amesbury's largest auto-body producer, and four years later it owned nine plants in the town. Before World War I, B & S owned nine buildings, including two three-story and three five-story factories, totaling approx­imately 300,000 square feet. In the mid-1920s customers included Hudson, Rolls-Royce, Lincoln, Peerless, Marmon, Mercer, White, Chalmers, Speedwell and Haynes. 1923 was the turning point for B & S, when the firm nearly tripled production by devoting its entire factory space to build sedans for Hudson. The big sedans sold well for a couple of years, but fashion soon shifted to the close-coupled Brougham. Production jumped to over 12.000 bodies in 1923. The plant expansion continued, B & S, taking over, in the same year, the Currier Cameron & Co. and their large "Colchester Mill" on Elm Street. In 1925 buildings from Hollander & Morrill Body Co., Witham Body Co., and T.W. Lane Company were added. The added capacity permitted acceptance of a small order from the Rolls-Royce Springfield plant. In September 1926, the Bryant Body Co. was taken over to obtain a building on Cedar Street. This brought the total space to nearly a half million square feet in 21 buildings in six different sections of town. The properties of a number of smaller body-builders such as the Auto Body & Finishing Co., Witham and Hollander & Morrill were absorbed by Biddle & Smart when they went out of business in the early to mid-twenties as they sought to expand their production of bodies for Hudson. Biddle & Smart supplied Hudson with aluminum bodies only. They had no presses to form steel, nor did any other company in Amesbury. In 1925, Biddle & Smart also began making bodies for Rolls-Royce's new American company at Springfield, Massachusetts. In April 1925, the company shipped its first Rolls-Royce bodies, and by March, 1926 its Amesbury holdings had grown from nine shops to 41 scattered around town, turning out 400 bodies a day. Biddle & Smart's piecemeal facilities amounted to a cottage industry. Bodies were dollied from place to place and put through individual departments for framing, metalworking, painting and trimming. Italian coachbuilders evolved a similar system after World War II. 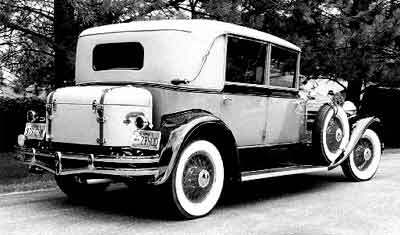 In May of 1925, Hudson introduced the Biddle & Smart-built Brougham, a closed-coupled four-door sedan with blind rear quarters covered, as was the entire roof in black leather. The Broughams lent a bit of cachet to the Hudson line, and was an immediate success. The style was continued into 1926, and in 1927 was dressed up with a set of landau irons, though the leather covering of the roof was deleted. Biddle & Smart production peaked in March, 1926. 400 bodies a day were produced in three eight-hour shifts by 4,736 employees. The increased production required the adap­tation of the newest power woodworking tools and the use of Duco paint. Finished bodies were sent by rail from Amesbury to Hudson in Detroit. The company operated in 21 buildings with nearly half a million square feet of workspace, in six different sections of Amesbury. “Bad weather and slowness in opening of the season” slowed production con­siderably later in the year. However a record 40,892 bodies were shipped that year, which was nearly a thousand more than in 1925. The fact that Hudson Motor Car Company built it’s own 10 million dollar body plant in De­troit was not a good sign for Biddle & Smart. By the end of 1926 all steel Hudson sedan bodies were coming from the new factory and by 1928 Biddle & Smart production had dropped by 60%. From 1927 to 1929, at least 19 different production bodies were made for Hudson, some of them designed by Walter Murphy with the rest emanating from Hudson. Hudson began to advertise all Biddle and Smart bodies as “custom-built," even though they were actually regular production bodies, albeit clad in aluminum. Early in 1927 Walter M. Murphy Co. of Pasadena, California was commissioned to build a series of prototype cars for Hudson using Murphy’s new thin-pillar architecture. Six thin-pillared prototype Hudsons were delivered to Hudson and soon approved by the board of directors for the 1928 model lineup. As Murphy lacked the production capability that Hudson needed, Biddle & Smart was the natural choice to produce the production bodies so the prototypes were sent off to Amesbury. Unfortunately Murphy’s stylish rooflines were judged to be too low by Hudson’s chief of engineering, Stephen Fekete, and he quickly dispatched an assistant to go to Biddle & Smart and "raise the roof three inches" on the 1928 Murphy-designed bodies. Styles included a Victoria and Landau Se­dan on the Model R chassis, joining a coupe, coach, standard sedan, convertible coupe, town sedan, and a Briggs-built five-passenger phaeton. On the Model L chassis was built a seven-passenger sedan and a new seven­-passenger limo, club sedan and dual cowl Sport Phaeton plus a Briggs-built seven-passenger sedan. 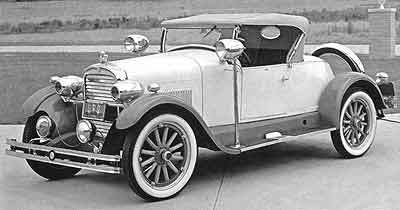 The convertible and the coupe were stillborn, but the others reached production on Hudson's 127-3/8 inch wheelbase Model 0 chassis, the longer of two introduced that year. As markets bullied in the waning days of 1928, so did Hudson, going to greater lengths than ever before. 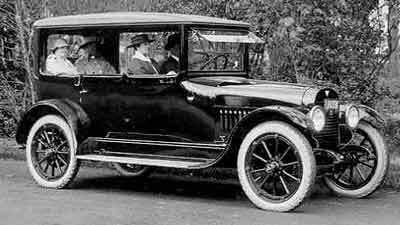 The Model L, introduced in January 1929, boasted a 139-inch wheelbase, although, curiously, two of the B&S built "Design by Murphy" styles, the Victoria and the Landau Sedan, were consigned to the shorter, 122-1/2 inch Model R chassis. The seven-passenger sedan and a new seven-passenger limo and a club sedan in the Murphy style were offered in the Model L line, along with a seven-passenger version of the phaeton and a gorgeous, dual-cowl Sport Phaeton. 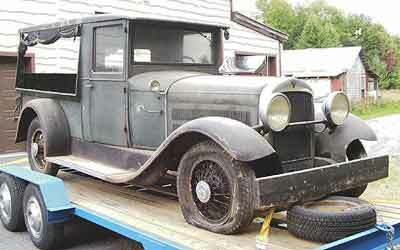 The 1929 Hudson Model R used Biddle & Smart bodies for two styles and other styles were general production. It is probably unfortunate that the Landau Sedan and Victoria were put on the shorter Model R chassis as they are not recognized as Classics by the CCCA. Hudson made two of the five L-series CCCA designated “Classic” cars (the 7-passenger sedan and 7-Passenger Phaeton) while Biddle & Smart made the Victoria, the Landau Sedan and the highly treasured dual cowl Sport Phaetons. In addition to the two Biddle & Smart-built R-series models, Briggs produced three and Hudson built the remaining five body styles. B&S started producing its own trunks for some models. 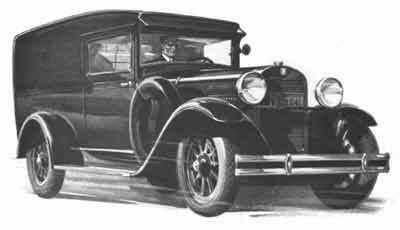 For example in January 1929 shipments show only 1,400 short-wheelbase Landau Sedans and Victoria bodies, along with 1,300 trunks. Production would have picked up during the spring, but the fact that they were making trunks in­stead of bodies was an ominous sign. 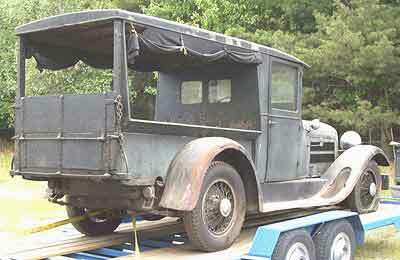 Exact production figures for Biddle & Smart long­-wheelbase 1929 bodies have so far been elu­sive, but estimates range up to about 800 Model L bodies, with possibly 300 of them the dual cowl Sport Phaetons. 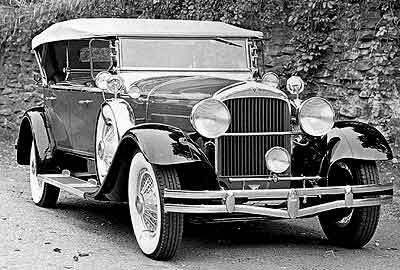 1929 Model R Hudsons came as coupes, sedans, convertibles, and a Briggs-built five-passenger phaeton in addition to the entry-level coach. The Murphy-designed Victoria and Landau Sedan were added to the short-wheelbase line as well. The other Murphy­ begat cars, the seven-passenger sedan, seven-passenger limo, and Club Sedan were turned out by Biddle & Smart for the 139-inch chassis, as were the featured Sport Phaeton and a seven-passenger phaeton of much more pedestrian design and lacking the dual cowl feature. Today's owners have quoted some suspiciously exclusive quantities of production for their particular car models. Sport Phaetons, for example, are regularly quoted as being one of twelve or eighteen; the truth is likely much less tantalizing. Hudson historian D.J. Kava puts Sport Phaeton production, after studying all available Biddle & Smart documentation, at "possibly 300," there being some 800 B&S bodies for long-wheelbase cars in toto. Model L roster figures seem to support this hypothesis, for Sport Phaetons are actually the most prevalent surviving body style, with nine known to presently exist in one form or another, out of 23 extant Model L’s. A little known fact is that Biddle & Smart built the cabs for Hudson's short-lived (1929-1930) Essex-based Dover line of commercial vehicles. Included were the Dover cab & chassis, canopy express, panel truck and express express (pick-up). According to Hudson records they also supplied the van bodies as well as the beds and raised structures used on the pickup and canopy express models. 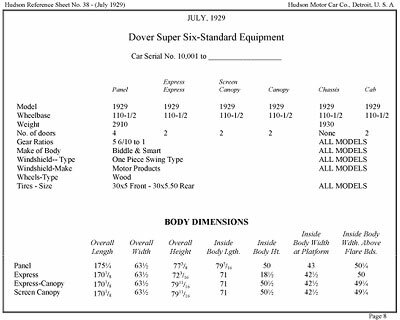 While the Hercules Body Co. of Evansville, Indiana produced a Dover-branded commercial body brochure, they did not supply Dover with production bodies. An examination of the two brochures show two entirely different lines of canopy express and screen side coachwork. "I've attached a couple of pictures of my Hudson. They show that this is slightly different than the Dover. First, it is a Hudson not an Essex. Most obvious is the straight roof, not a humpback like the Dover pictures. The Hudson bumper (not pictured) and dual side-mounts also differ from the Dover. IE: this is not identical to Dover, but unique as a Hudson. It also has the rose pattern dash in addition to the body tag." The exact details of the corporate demise are still buried in the court records. The end probably started in 1926 when Hudson built it’s own closed-body plant and by December 1929, when Hudson declined to renew its usual annual contract, the end was apparent. Additionally transportation charges to and from Amesbury made Biddle & Smart too expensive for Hudson to use as the prices on all new automobiles were falling appreciably. With the Depression worsening, Hudson turned more body business over to nearer suppliers, such as Briggs and Murray, and Biddle & Smart found itself not only without a major Detroit customer, but with no customers at all. After completing the contract with Hudson for 1930 model bodies in the summer of that year, the Amesbury concern was advised that, beginning in 1931, it would no longer be the outside source for Hudson bodies. The custom-body firm tried for a brief period to market aluminum boats, but within months the company was out of business.